Researchers predict an above-average hurricane season in 2018, potentially impacting travelers’ vacations. Fortunately for those who prepare early enough, travel insurance can cover many of the impacts these storms can have. This resource explains how travel insurance can help this hurricane season. It is important to get your policy early before a storm is named. Travel insurance only covers unexpected situations; once a storm is named, it is no longer unexpected and can’t be covered on any policies purchased after that date. The fear of traveling is never covered by travel insurance. If you are worried that a storm is headed to your destination but it hasn’t yet triggered your policy’s coverage, your claim may be denied. The only option for travelers who want more freedom to cancel their trip is Cancel For Any Reason coverage. This type of policy can be more expensive but it can pay you back a portion of your trip costs without having to provide any reason for cancelling. This upgraded coverage must be purchased within 14-30 days of your initial trip booking and 100% of your trip costs must be insured. Squaremouth’s Hurricane Center helps travelers understand travel insurance coverage specific to storms. This resource is regularly updated with press releases, answers to FAQs and helpful videos. ST. PETERSBURG, Fla. October 23, 2018 — Virtually overnight, Hurricane Willa intensified into a major storm bound for Mexico’s popular Pacific coast, taking many beach-bound travelers by surprise. With the aftermath of the storm yet to be seen, travelers may be concerned about upcoming trips, especially given the impact of recent storms Michael and Florence. But according to travel insurance comparison site, Squaremouth, now is not the time to buy a travel insurance policy for coverage from Willa. ST. PETERSBURG, Fla. October 9, 2018 — In less than 48 hours, Hurricane Michael has intensified from a tropical storm to a category 2 hurricane, threatening Gulf Coast residents and travelers alike. The storm's rapid development caught some travelers off-guard, with the end of hurricane season only a month away. ST. PETERSBURG, Fla. September 11, 2018 — Residents of the East Coast are preparing for Category 4 Hurricane Florence, with more than 1 million facing mandatory evacuation orders. But according to travel insurance comparison site, Squaremouth, it is still too early for Hurricane Florence to trigger travel insurance benefits for residents with homes in the storm’s path. ST. PETERSBURG, Fla. May 14, 2018 – Last year’s hurricane season brought major storms to highly traveled destinations, resulting in a significant increase in claims. This year, researchers predict another above-average hurricane season and leading travel insurance comparison site, Squaremouth, reports an increase in people purchasing travel insurance for hurricane season. ST. PETERSBURG FL September 29, 2017 — In the past month, hurricanes Harvey and Irma halted travel in the U.S., and Maria ripped through the Caribbean as a Category 5 storm. With two months left in hurricane season, leading travel insurance comparison site, Squaremouth, explains the key travel insurance takeaways travelers should know now. ST. PETERSBURG FL September 21, 2017 — Hurricane Irma ripped through the Caribbean as a Category 5 storm, leaving many areas uninhabitable. With Hurricane Maria now hitting the same region, travel insurance comparison site, Squaremouth, explains travel insurance coverage for those whose Caribbean vacations are impacted by the storm. ST. PETERSBURG FL September 8, 2017 — Florida residents are the second most frequent travelers in the U.S., according to sales data from leading travel insurance comparison site, Squaremouth. With Hurricane Irma halting travel and threatening Florida, residents may be unaware of the coverage they have. ST. PETERSBURG FL September 5, 2017 — Hurricane Harvey forced more travelers to cancel their trips than any other single event this year, according to claims data from travel insurance comparison site, Squaremouth. With powerful Hurricane Irma approaching the Caribbean, Squaremouth expects even more claims for trip cancellations. ST. PETERSBURG FL August 30, 2017 — Hurricane Harvey’s torrential rain is expected to continue this week, jeopardizing Labor Day Weekend travel plans. Leading travel insurance comparison site, Squaremouth, explains when travel insurance can refund travelers if the storm ruins their travel plans. Can travel insurance cover me if my home is in a hurricane's path? You may be covered by your travel insurance policy if a hurricane hits your home. What if my flight or cruise is delayed because of a hurricane? If your flight or cruise is delayed due to a hurricane, travel insurance can cover additional costs and lost expenses under the Travel Delay and Missed Connection benefits. Can I still buy a travel insurance policy for hurricane season? Yes, you can still buy a policy with coverage for hurricane season. However, you cannot buy a policy with coverage for a specific storm once it is named. 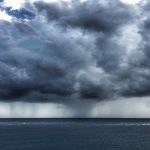 Can I cancel my trip if a storm hits my home? You may be covered by your travel insurance to cancel your trip if a storm hits your home. Can I still buy travel insurance for Hurricane Matthew? No, travel insurance is no longer available with coverage for Hurricane Matthew. What if my flight or cruise is delayed or canceled due to a hurricane? Travel insurance can cover many of your lost or additional expenses due to a cruise or flight delay or cancellation because of a hurricane. What if I want to cancel my vacation because of a hurricane? You may be covered to cancel or interrupt your trip if your policy includes hurricane coverage and you meet the policy’s requirements.